Not long ago, VARs could depend on data center sales to drive revenue, and agents had a comfy niche in networking. But in today's channel, those opportunities are rapidly shrinking, leading to some interesting partnerships between IT and telco. Consolidation in the data-center space has gone from an expectation to a reality. Just think of the wheeling and dealing that’s gone on in the space in the last couple of years, like Extreme Networks snapping up both Avaya’s networking division and Brocade’s IP Networking division, significantly strengthening its market position and ability to drive smaller competitors out of business. “The top vendors have taken advantage of their volume operations to lower production costs, pushing small-to-midsize vendors out of the market,” said Mikako Kitagawa, principal analyst at Gartner. The trend goes the other way, with many vendors choosing to offload their data-center networking businesses in order to focus on software and services. HPE even partnered with Arista Networks to offer Arista switches directly through HPE, leading many analysts to forecast the company moving into the resale and system-integration space, roles traditionally held by channel partners. Add to this that public hyperscalers like AWS, Google Cloud and Microsoft Azure have become forces that not many have the resources to go up against, and you have a perfect storm of market disruption for partners that have traditionally survived on data center and networking solution offerings. That’s doing some interesting things to prevailing channel service offering structure and go-to-business strategies. Not that long ago, value-added resellers (VARs) were dead serious about staying VARs and building on resale, and agents had a sweet deal procuring network connectivity solutions for customers. The two offerings were strictly siloed, and the IT and telco channels existed in an uneasy truce, each needing the other to enable their businesses but not necessarily working together to create solutions. But the commoditized server resale market is dying for partners as the trend moves away from cheap and easy hardware to higher-end servers with more features, not to mention the rise of cloud solutions. We’ve been talking a long time in the channel about the need for traditional VARs to move into recurring solutions, but the pivot away from the hardware and software resale revenue that many built their businesses on can be a tough pill to swallow. It’s a similar pickle on the telco side, where master agents are looking to increase stickiness with their customers and provide managed services that can net them ongoing revenue. Tier4 has a big business in data center and telecom procurement services. With more than 600 partners and service providers in the data center, connectivity, managed service and cybersecurity spaces, the company is in a unique position to watch partners from both the IT and telco worlds adjust to a rapidly changing channel paradigm. Sherrill says that VARs and master agents are beginning to reluctantly accept the convergence between the two channels, creating both frustration and opportunity. 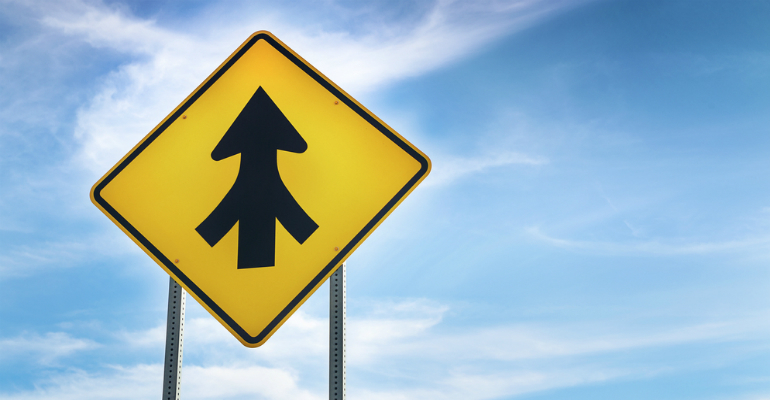 Convergence will intrinsically lend itself to VARs and agents stepping on one another’s toes as they both compete for the managed services golden egg, and both models are struggling to find their path forward. But the trend is opening partners’ eyes to the benefits of working together, too. As resellers and agents acknowledge the fact that no partner can be all things to all customers, they’re forming partnerships that allow them to broaden their reach and service portfolios, either by white-labeling each other’s services or trading referrals among one another as the need arises. Sherrill says that the strategy for addressing challenge that consolidation is presenting to partners is no different than with any other business. You’ve got to find a market and revenue opportunity, then find the expertise to give your clients value in order to generate that revenue. The market is there, and the revenue is waiting to be pulled in. Now all partners have to do is ensure they have the necessary expertise to provide clients the one-stop comprehensive solution they’re demanding. In this way, resellers and agents are enabling one another’s businesses, where not long ago they may have considered themselves competitors. “I may want to go play in the NBA, but am I good enough to play in the NBA? The answer is no. But if I could find a partner who could help me be good enough to play in the NBA, now we’re onto something,” says Sherrill.